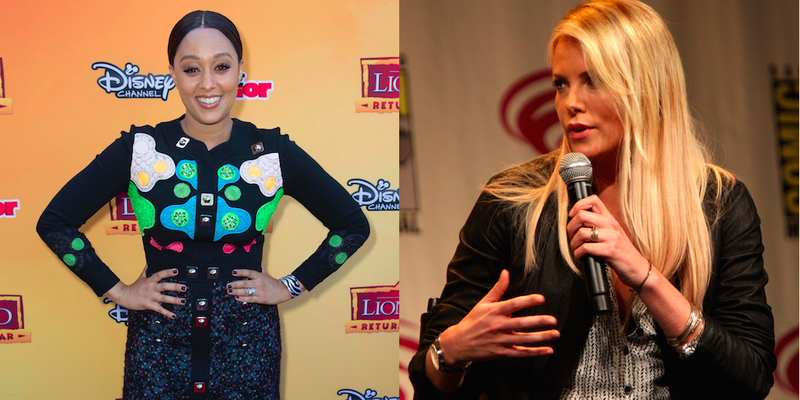 Will We Ever Know What Happened Between Charlize Theron And Tia Mowry At SoulCycle? Charlize Theron as Wren in: The Last Face. Silly Girls the Summer of Charlize continues. The Summer of Charlize will come to an end Labor Day weekend 2017.
Who killed JonBenét? Who killed Tupac? Who killed Kurt Cobain? Who killed JFK? Who killed Gawker? Was it Max Read? Nick Denton? Hulk Hogan? Peter Thiel? Or the internet? Where is MH370? Did Charlize Theron roll her eyes at Tia Mowry and say “oh my god” at SoulCycle when Tia Mowry was just trying to be nice and say hi, she wasn’t over-the-top, she knows how to approach another celebrity? Hmm. The Top Mysteries have in equal parts plagued and intrigued humankind for years, it’s true, but it is also true that there comes a point at which one must accept that these mysteries may not be solved within one’s lifetime. — Or does there come that point for one? to Tia Mowry at SoulCycle without denying the events explicitly, she alluded to the fact that if she had confronted Mowry then she would have said something more to the effect of: ‘Fcuk off’ and not ‘Oh God’). “I don’t know Charlize.” ←Incredible! “It was all blown out of proportion.” ←What’s “it”? “It was all blown out of proportion.” ←Is “it” WHEN CHARLIZE ROLLED HER EYES AT YOU AT SOULCYCLE AND THEN SAID “OH MY GOD”? “I respect her.” ←I’m sure. “I think she’s amazing.” ←OK, so do I [In a lesbian, would definitely: ‘Want Some Of That’ kind of way]. Editor’s note: I don’t know Charlize either, but have seen her communicate on camera only and yet she seems a little more forthcoming than the average insanely beautiful white woman, then again she is an Academy Award winning actor so what the fcuk do I know? Besides Theron’s ‘Besties’ with in ‘Yo Face’ Chelsea Handler and Handler will a: Directly Tell You off and b: Seems a Ride or Die type of gal (Not my type at all). So it’s hard for me to believe that Theron would take a weak approach to brushing off Mowry. Considering that celebrity feuds are a staple in the Entertainment Industry, maybe Mowry’s publicity agent wanted to generate a bit of publicity for his client by connecting her in some way to the star of 2017’s Number 1 queer action movie: Atomic Blonde. April 4th 2017: Mark Your Calendars! WENTWORTH Returns!